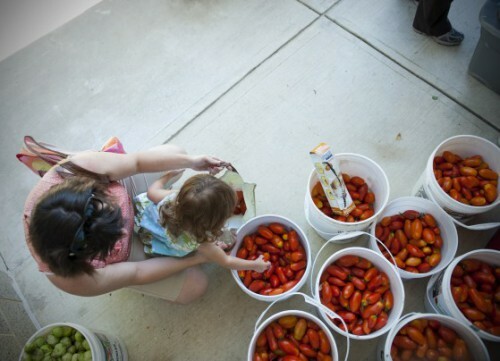 Each week Shareholders are greeted with bins full of freshly harvested produce to choose from. 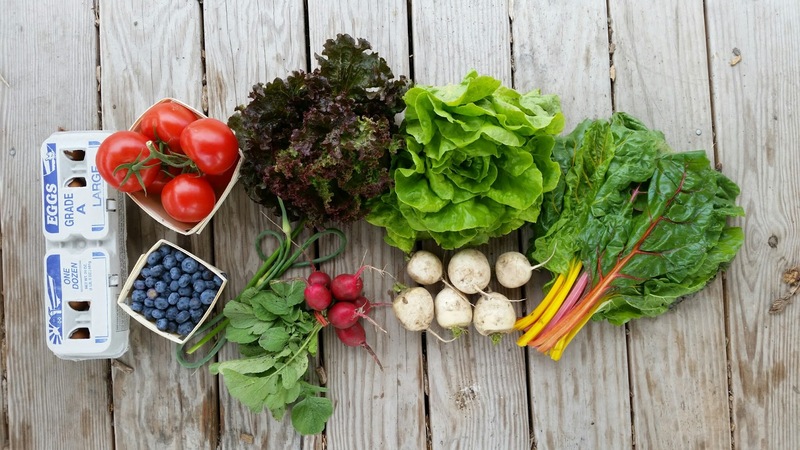 The Share is free-choice within limits and averages 8 items of produce at each distribution. 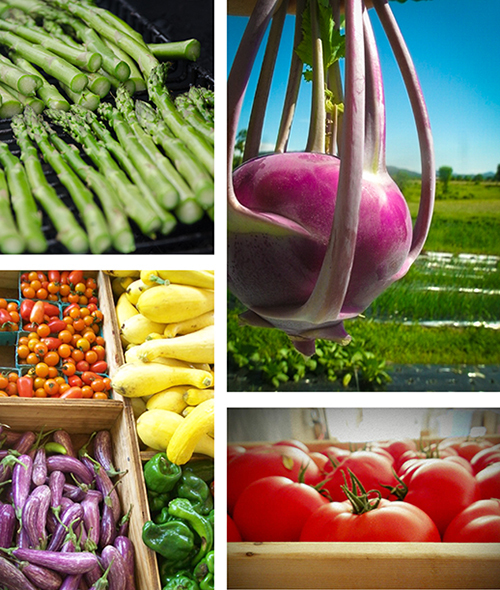 We provide an incredible diversity of vegetables and fruits, which changes at each distribution. The Share supplies a busy household of 3-5 people, or 1-2 avid veggie eaters. Don’t think you can eat it all? Many members share with a friend, switching off weeks or dividing up the Share together each week. Are you a very large family that likes to cook vegetables at home? Some large families purchase 2 or more Produce Shares. Our produce farm is USDA certified organic. 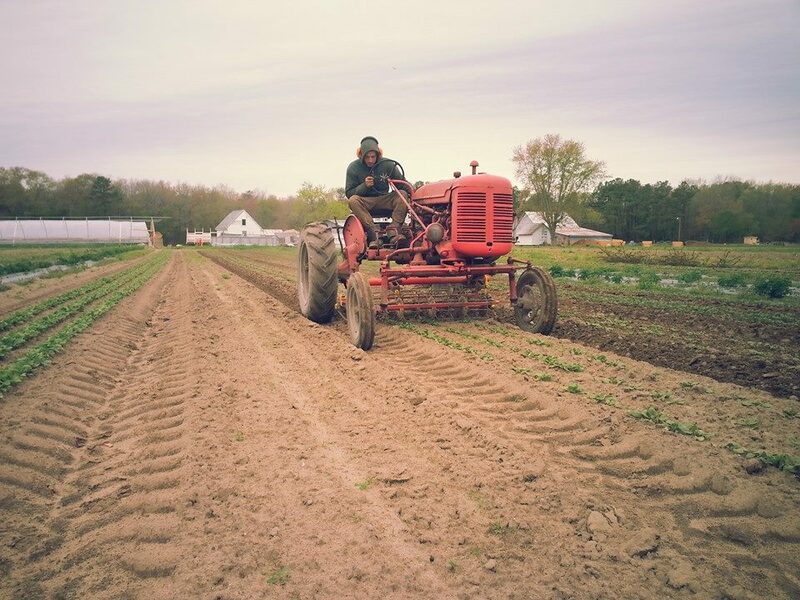 Like us, most of our partners are local Certified Organic farms. We also work with some very small local farms who follow our growing practices but have chosen not to seek certification. And, some of our partners practice Integrated Pest Management (IPM). Working with our partners we are able to bring you the best quality and diversity of local fruits and vegetables each season has to offer. Our Summer-Fall season runs from the first week in June through mid-November, and pickup/delivery is weekly. 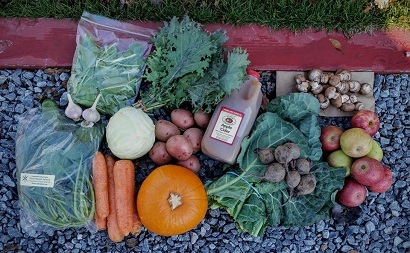 There are 20 total CSA pickups per distribution location in the Summer-Fall Season. Quality is very important to us. We guarantee the quality of all the produce you take home.